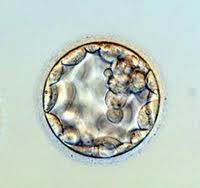 Yes, the oocyte is the largest cell in the human body. To be fair to my sense of scientific correctness, the fat cell, about ten times smaller than an egg, can expand, when filled with fat, to about ten times its original size. It has a tremendous energy potential as well. But nothing, absolutely nothing, compared to an egg, which is about the size of a period: this big (.) Containing all of the potential of an upcoming life, when combined with a sperm cell. I am reminded this morning of the amazing potential of an egg, waiting to receive messages from the follicular fluid, which responds to messages it receives from the blood, which receives its messages from hormones, nutrition, and or psychoemotional state; which transmits messages to the hypothalamus – to the pituitary – to the ovary… all to prepare this amazing, incredible, enormous cell (.) with messages about what it will take to survive in this body, and this life. This is all programmed into the egg, thirteen lunar cycles or one year prior to the birth of the child. I am also reminded of the two women I worked with who had a single ovary on one side, and a single fallopian tube on the other side. Each conceived naturally, when they were no longer trying. When their doctors told them it was impossible, they gave up trying to force it. And when that amazing, incredible, enormous egg was released by the ovary, the fallopian tube, on the other side, received its message, and moved across to sweep it inside. Each fertilized egg then sends out messages to the uterine lining, which then responds with its chemical messages that a home is being made. Your ovarian potential, your creative potential, your ability to be utilized by Life to recreate itself anew, is often overlooked, undervalued, and placed into the scientific category of what we know. The real potential, though, comes from what we don’t know. It resides in that wondrous space where miracles occur. I worked with a dear woman recently who made many courageous moves out of the state of infertility and into the most fertile state – of being in alignment with the spirit of existence itself. Last month she stopped being monitored by her reproductive clinic. Each month they had been providing more dismal news – rising FSH, short luteal phase, premature ovulation, estrogen fluctuation… thwarting the phenomenal potential of each forty-some year old egg. She stopped listening to them. She began listening to the wisdom of her heart instead. It told her she could stop the madness and get off the hamster wheel. It told her, in its quiet and certain voice, “You can do this.” She did. From the state of an open heart, Life came through. It didn’t pay attention to her age or her labs. That which animates this (.) was finally able to do its job.